At the owner's request, all guests must be 18+. No children or infants please. Fishbones sits on a cliff-edged lot and the owner does not want any accidents. No exceptions. 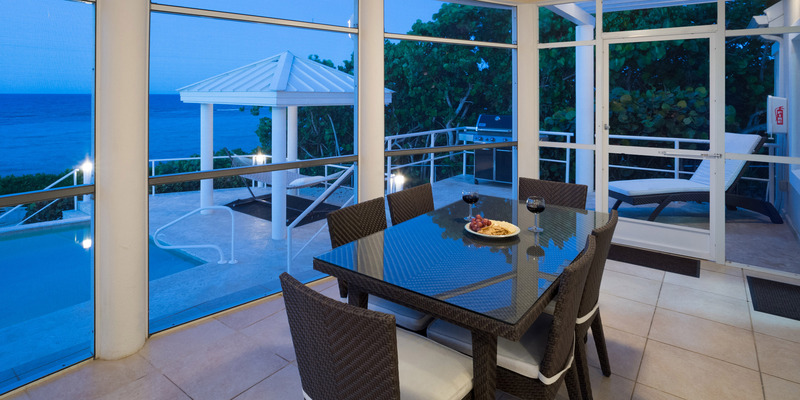 Fishbones is sited up on a bluff overlooking the clear reef-protected waters. The snorkeling here is fantastic, as few people have access. There is never much of a current, so swimming is safe. Our guests have seen eagle rays swimming in the shallows as well as the "Christmas Manta" occasionally. Access to the water is by concrete stairs to the dock above the water. The last 3 steps are cut into the ironshore and you step (even barefoot) directly into the water onto soft white sand. There is a small beach about 100 yards to the east that you can sunbathe on...but by swimming over only! Beautiful house! We really enjoyed our stay! We had a great time exploring... day 1 relaxed at home at the pool, day 2: Star Fish point/Kaibo for lunch and Rum Point for afternoon, day 3 relaxed at home and Tukka for dinner, day 4 got free snorkel gear from silver thatch and went to swim with sea turtles at Spots beach and found conch shells along the shore then went to see the blow holes on the way home, day 5 went to Georgetown to explore and the went on Rum Distillery tour and dinner on the water to watch the sunset, day 6 boat trip to swim with stingrays and snorkel then lunch at Kaibo again and afternoon relax at home, day 7 relax at home and dinner at the Italian Kitchen. Weather was beautiful and we really enjoyed being away from the crowds on seven mile beach. We enjoyed our stay at Fishbones. Very nice property. Also, Ronald is a great property manager. He checked on us at arrival and made sure everything was perfect at Fishbones. Then again on our departure. Very private, beautiful home. 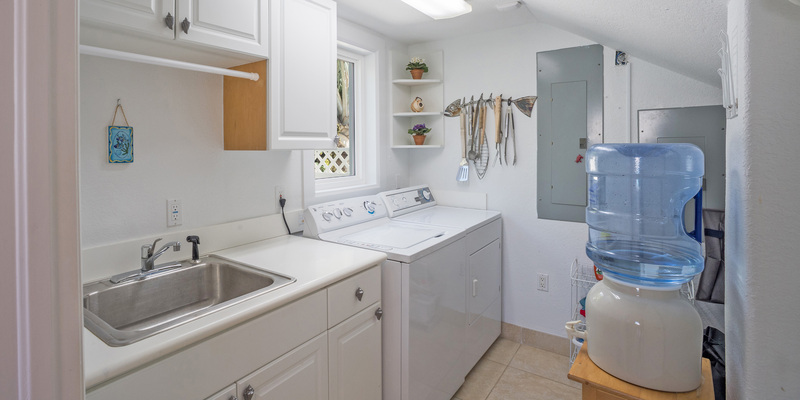 Kitchen is well stocked with great appliances. Amazing view!!! I wish the bed in the master bedroom had been a little more comfortable, but the view made up for it. We would highly recommend this place. Thanks for an awesome time! The Pictures and Description of the Property are 100% Correct! My wife and I enjoyed a very relaxing and quiet week at Fishbones. The pool, the screened in porch and the hammock were excellent spots to hang out and read. 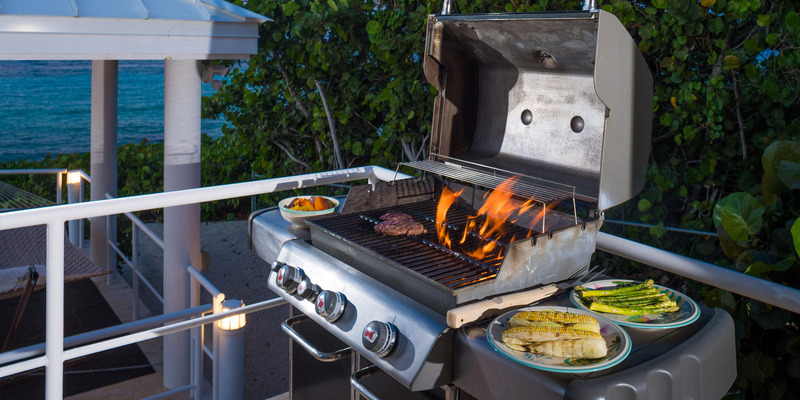 The house was very clean, had everything you needed for cooking, and the outdoor grill was well maintained and clean. Great house. Great view. Great location. Had an electrical problem and property manager was there within 20 minutes. Enjoyed pool and access to the ocean. We enjoyed the view from the crow\'s nest, but being unable to open the windows made it quite warm. Glad you enjoyed your stay. If those windows were operational, we would have salt and water problems throughout the home. My wife, two girls and I thoroughly loved this property and would definitely rent it again. The house size is perfect and beautifully appointed. 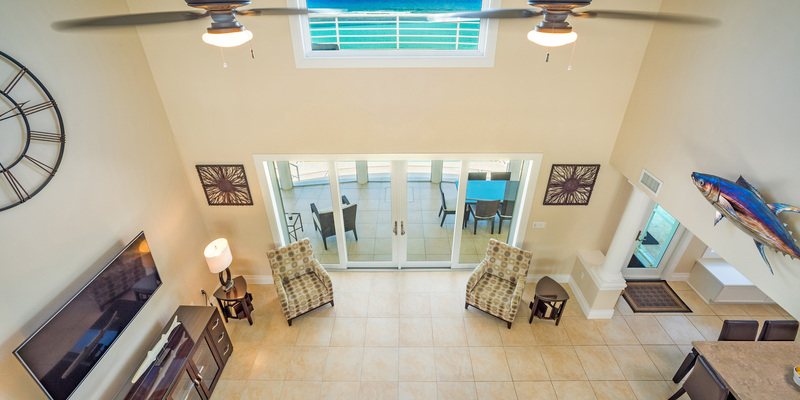 We loved the screened porch, pool and lounging area out back. Of course, the view is absolutely stunning. We had a question of the management company during our stay and our property manager was so responsive, he actually stopped by the house to make sure everything was working properly. That was a great touch! We\'ve been to Grand Cayman a number of times and this trip was yet another great time on the island. We dove a number of times with White Sands, and George is a fabulous boat captain and dive master. We also chartered a snorkeling trip through the management company and the boat was brand new and they were so accommodating. We ate at Tukka\'s a couple nights, the Lighthouse, and Eagle Rays for lunch. Tukka\'s and the Lighthouse are two of my favorite places for dinner on that side of the island...great service and great food. The management company even has a card that provides a 10% discount at certain vendors (including Tukka and the Lighthouse). 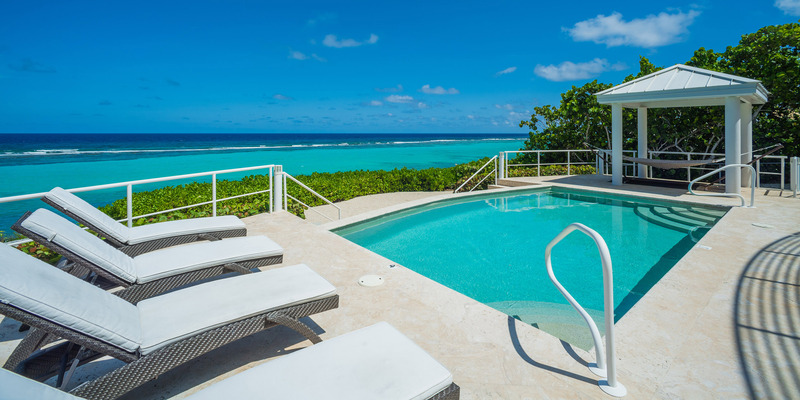 I highly recommend Grand Cayman Villas and this property. We have been coming to Grand Cayman for 8 years now. The first few times we stayed on 7 Mile Beach, and enjoyed our stay. But it has gotten crowded there and too expensive. The last few times we have stayed in private homes. We loved them all. 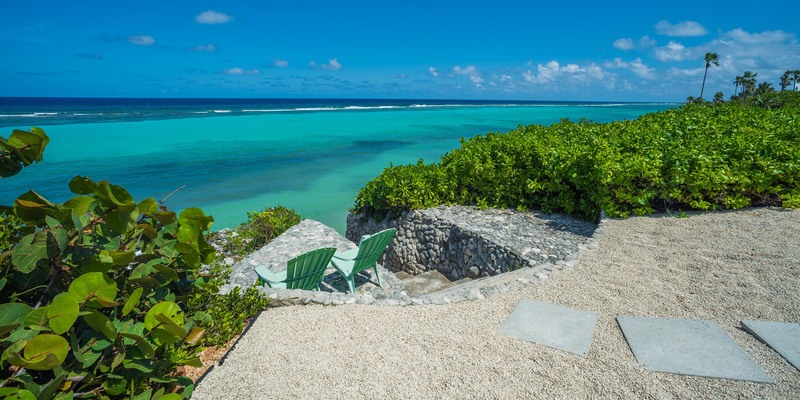 But Fishbones has proven to be the best villa we have rented on any island! The local manager was responsive and the booking process was painless. We were helped and guided along the way. We chartered Silver Thatch Charters with George, That proved to be the highlight of our trip - so much so that we took a dinner charter with him our last night on the island to Calypso Grill! Simply amazing. We loved everything about the home. Safe, private, room to move around, porch at nights, pool by day! Something tells me we will be coming back soon!!!! 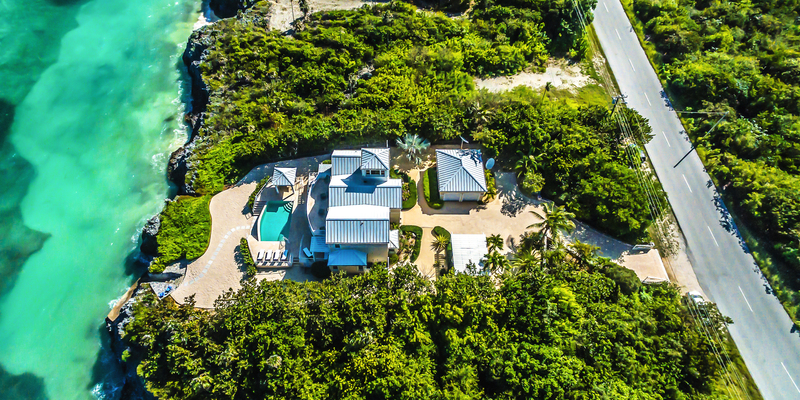 Secluded, beautiful property, incredible architecture, very comfortable, well equipped with an outstanding infinity pool, direct access to amazing waters leading to great snorkeling in your own nearly private reef. 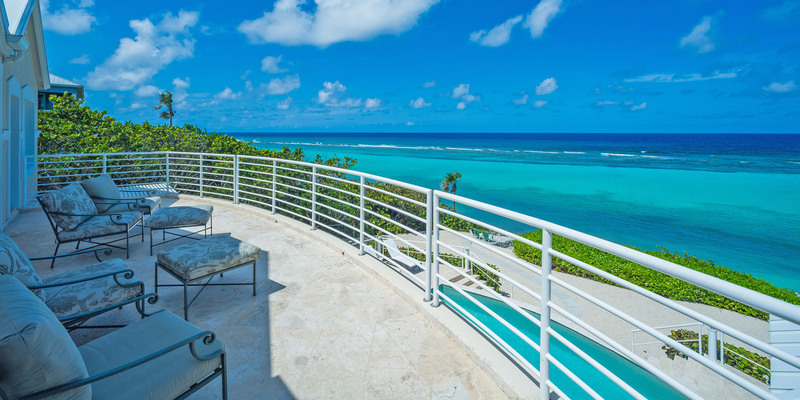 What a great property - it transforms your Cayman\'s experience into an exotic, private getaway. We\'ve been twice and would highly recommend it for adult couples. We (two couples) typically spend a week in February out of the cold and in the Caribbean. We fortunately chose Grand Cayman last winter, before the devastating hurricanes elsewhere. Our stay was very enjoyable. Fishbones was immaculate, when we arrived. We loved the privacy, yet luxury. This is a treasured combination. We were not seeking night life or crowds. We had great accommodations, gorgeous views, our own pool, the sea and sky. Provisions, restaurants, et al were only a few minute away. Booking agency and house manager were very attentive. If you want to unwind, this is the place. This was our second stay at Fishbones! Will not be our last. This trip was even nicer than the first. We knew the area, home, what we wanted to do. But we still ended up doing pretty much the same things as last time! Relax, swim, sun, kayaking, swimming, touring, eating and taking in the local flair! The bedding was firm and comfortable and the living area was spacious for 5. Local restaurants were same as ever - Italian Kitchen, Rum Point and Tukka were favorites. Kite boarding at kite beach was our favorit activity and we dove with White Sand Diving twice! Lots to do, never a dull moment!!! Looking forward to trip #3! We spent Christmas with our adult children at Fishbones. Everyone had a blast and hated to leave! Our trip was tops on everyone\'s list of family vacations and we are actively looking to come back to Fishbones. 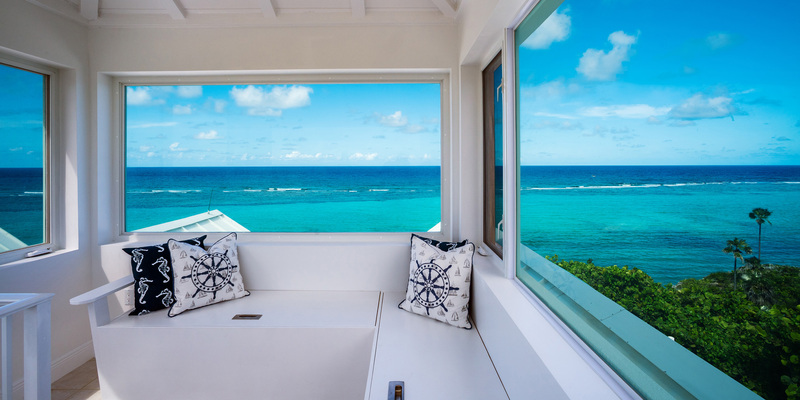 Unmatched view, privacy, comfort, security, on and on. Our trip to Grand cayman was as a direct result to hurricane damage on St John. This was our first trip to Grand Cayman and we were surprised (should not have been) by the beauty, safety, friendliness and weather on the island. We were 4 adults scrambling to salvage our vacation. But that is not why we loved the home. It is simply wonderful inside and out. We spent every afternoon around the pool, on the porch and around that area of the island. Restaurants and water sports were close by. The location is a bit removed, but the island is small and easy to drive around (thanks Jack!). 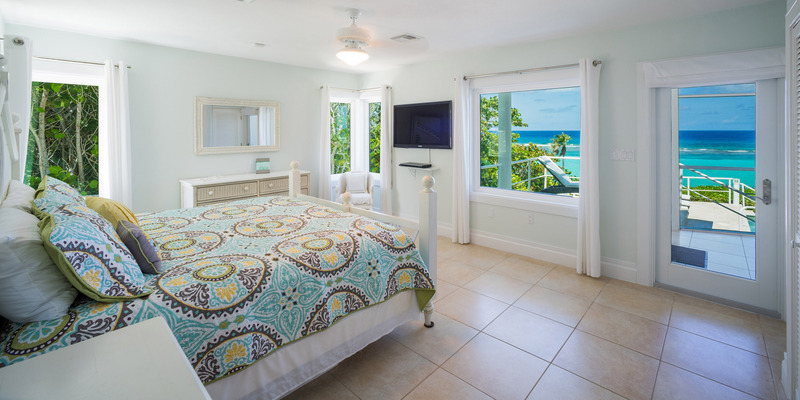 We ventured out daily to attractions like Blow Holes, Crystal Caves, Botanical Gardens, public beaches, water sports rentals, small bars, restaurants, Rum Point, Starfish Point. All within a short drive! We went to 7 Mile Beach one day but just felt there were too many people for our tastes... The home is well furnished, comfy couches and bedding. Great kitchen although we went out for dinners and most lunches. The wifi was fantastic, as we all needed to keep in touch with the real world on occasion. 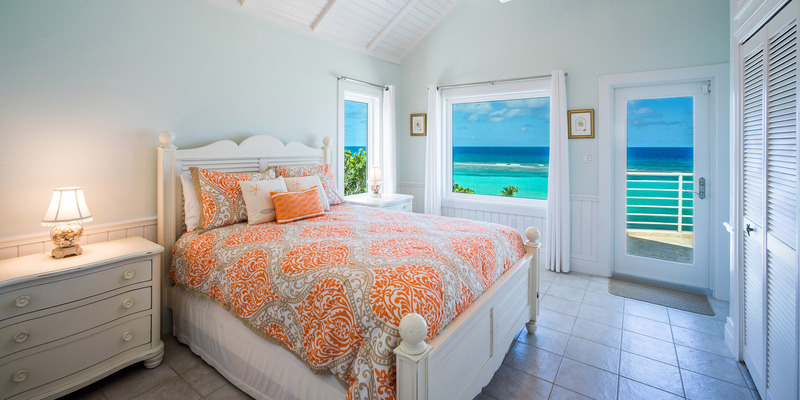 Highest recommendations for Fishbones and Grand Cayman Villas. 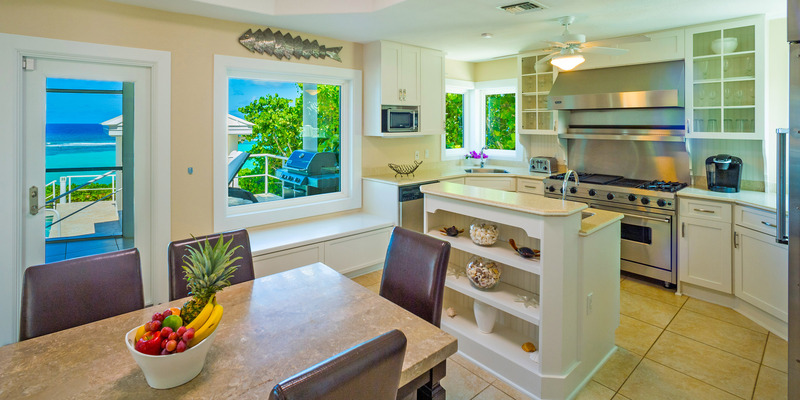 Three couples rented Fishbones for a yearly vacation - we pick a different home and location yearly. We had a blast at Fishbones and would highly recommend to anyone thinking about a stay there! We are actually planning a return trip to Cayman AND Fishbones. The view is stunning - better than the photos. The pool is nicely maintained in full sun. The location is fantastic - private, but still very close to restaurants. We went to Tukka, Italian Kitchen, Lighthouse and Rum Point. The interior of the home is splendid. Plenty of room for 6 adults, not crowded at all. The bedrooms are all nice and the mattresses were comfy. We thank the owners for offering their wonderful home. We will be back! Wonderful home with the perfect blend of colors, finishes and luxury, we had the perfect vacation!! Fun, relaxing and amazing. Fishbones! What an awesome home. Beautiful inside and out. Fantastic views of the sea. 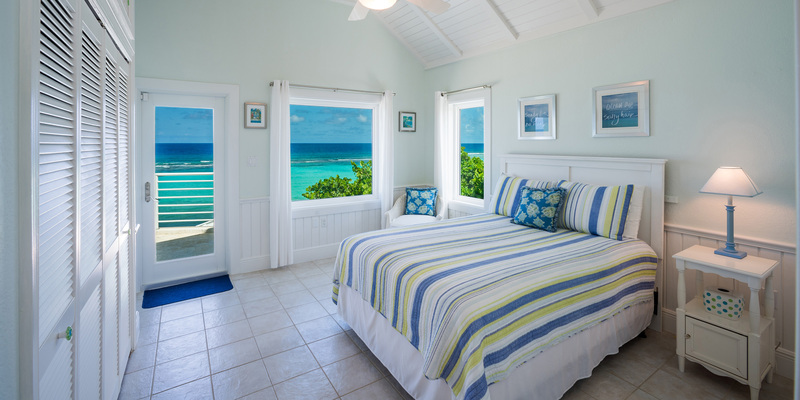 Spacious bedrooms, all with water views. 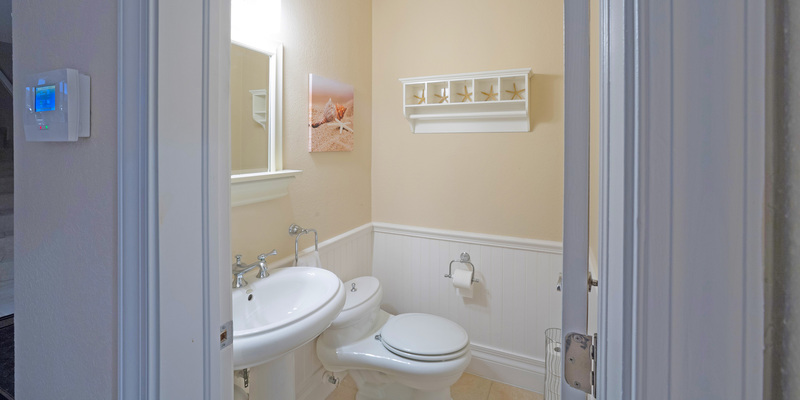 Nice linens, comfortable furniture and a fully equipped kitchen. This home was so inviting we did not want to leave! We will be back! Magical! Perfect family gathering and getaway! One of our best family gatherings, to date. Everything, truly, was perfect - from our arrival to our departure. The home could not be more beautiful and extremely well provisioned. The owners have thought of everything!! The setting - truly spectacular. It will go down as one of the prettiest, most serene places we have been, to date. Our week together as a family will long be remembered as one of the best! 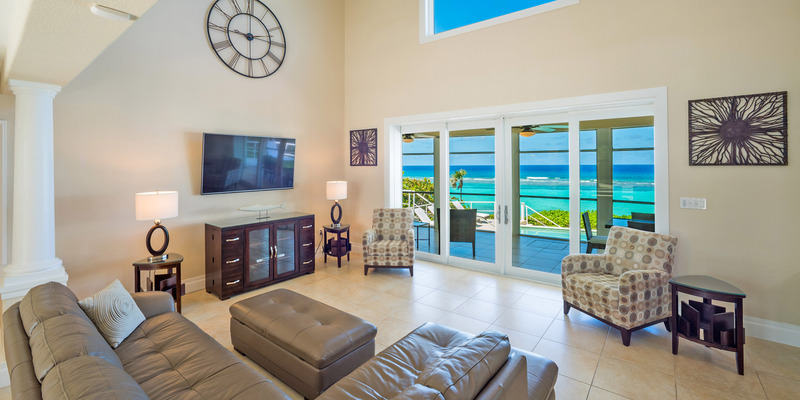 Grand Cayman Villas is top notch - easy to work with and extremely accommodating. Feel blessed to have been given such an incredible week in paradise. Thank you, all! Thank you for the kind words. Please come back again soon!!! We thoroughly enjoyed our stay at Fishbones. This home is obviously well loved and taken care of by the owner. Thank you so much for allowing us to stay at your piece of paradise for a week!! The view is amazing, the pool is amazing, the area is private, the interior is clean, well-kept and very nice. Confortable beds and furniture. Internet speed was excellent. 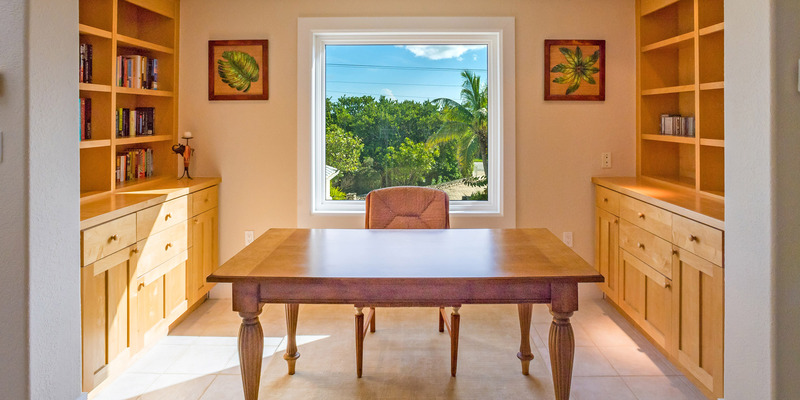 The location is nice as you are close to several restaurants, grocery store, barefoot beaches and things to do. We took a charter with Silver Thatch Charters and had the most amazing time with the stingrays. Favorite restaurants were Tukka, Bombay Chopsticks, EagleRays and Italian Kitchen! Crystal caves, blow holes and botanical gardens were wonderful. Highly recommend Fishbones and we WILL return!!! My wife and I stayed at Fishbones for 2 weeks in early May 2017. We were very pleased with the villa. Spacious and perfect layout; nice furniture and appliances; and unique art and accent pieces. Very clean. The view was beautiful from all ares- from inside, from the pool, and from our favorite area, the screened-in porch. Constant sound of waves breaking on barrier was great. Nice outside furniture and well landscaped grounds. Private. Since we prepared all of our meals, we appreciated the great kitchen and the new Weber GAS grill outside. Dive shops 4 and 8 minutes away (we recommend Ocean Frontiers). Thanks to Roland for his responsiveness to our needs. Two large TV\'s, but limited channels in Living room and no channels in Master Bedroom. (we watched Netflix a lot). In summary, this is a great villa which we highly recommend. It was even more attractive to us since the owner offers lower rates for a two person stay. We arrived at Fishbones on a bright sunny afternoon and the turquoise water greeted us on our first views out of the windows! The weather was perfect and the views never disappointed. We swam, snorkeled and relaxed out by the pool every day. Rum Point was great, but we loved coming back to our private piece of paradise. The interior of the home was perfect! All appliances were in good working order. We ate out most dinners, but when we did prepare meals, everything was there that we needed. The bedrooms were all comfortable and private. The area is quiet and peaceful, but not far from restaurants and bars. We are already planning our next trip back!!! We rented Fishbones because of the wonderful view and privacy. 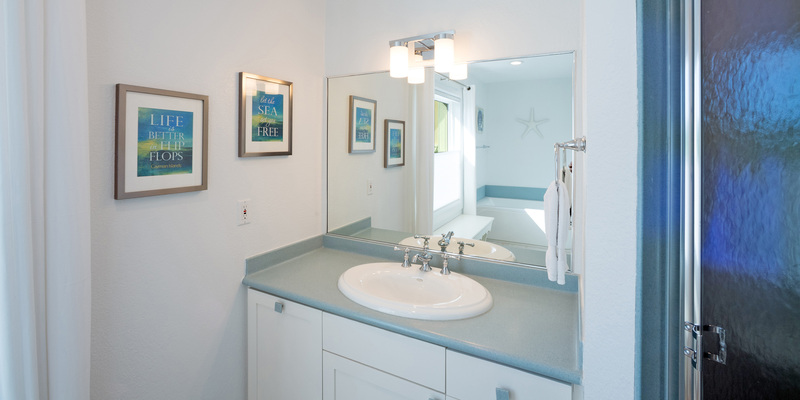 Every aspect of the home surpassed our expectations. 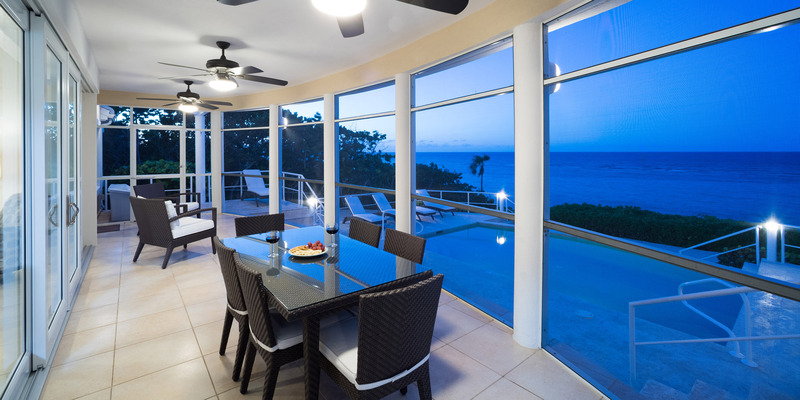 If you are considering this home for a stay on Grand Cayman you will not be disappointed. Close to restaurants and things to do, but when you are on the pool deck, you feel like you are in your own private world. Mesmerizing!!!! 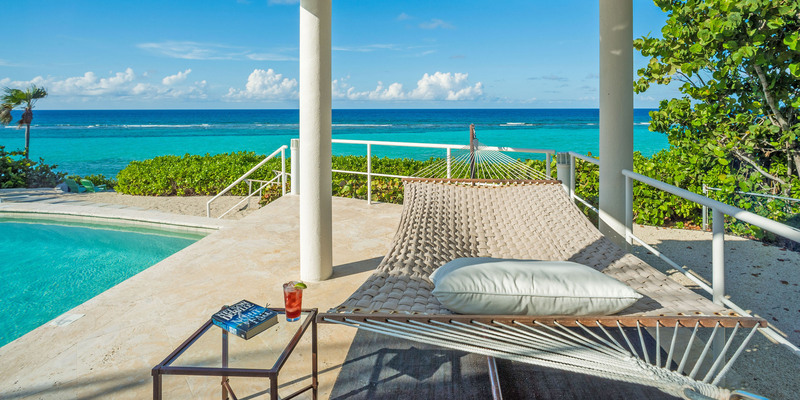 We spent a week at Fishbone Villa on Grand Cayman Island. The house was beautiful with all the amenities you would need. The hammock in the cabana at the pool area was a perfect place to relax out of the sun. The kitchen was well stocked with anything you would need. The bedrooms were large and luxurious. The batteries for the television in the master bedroom didn\'t work, but we never bothered to call the villa manager. We weren\'t there to watch television! Being away from the busy parts of the island made it perfect for star gazing at night. And we saw several shooting stars every night. There is not a sandy beach for walks or access into the water. 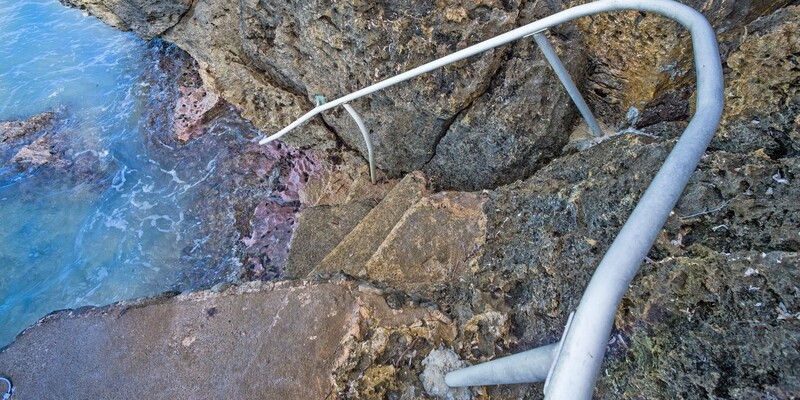 Steps lead down to the water. When the winds were blowing and the water was choppy, it was a bit tricky getting into the water. But at night we could watch the bioluminescent water life fright from the platform. Making reservation were easy and the on island manager was friendly. We didn\'t see much of him because we had no problems. 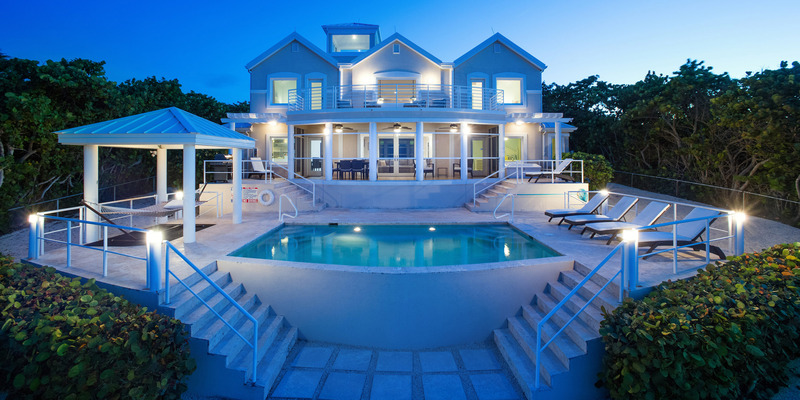 This villa was a perfect vacation home away from home! Cant begin to tell you how much we enjoyed our stay at Fishbones. From the easy booking process, to the management, to the home itself, to the location, to the friendly people on the island, we had the time of our lives. We recommend Rum Point, Kaibo, Tukka, Lighthouse and Bombay Chopsticks restaurants. Lunch at Big Tree BBQ was fantastic local cooking !!! The beaches around the island are wonderful. The snorkeling was the very best we have seen in the Caribbean - and we have been to some nice spots. 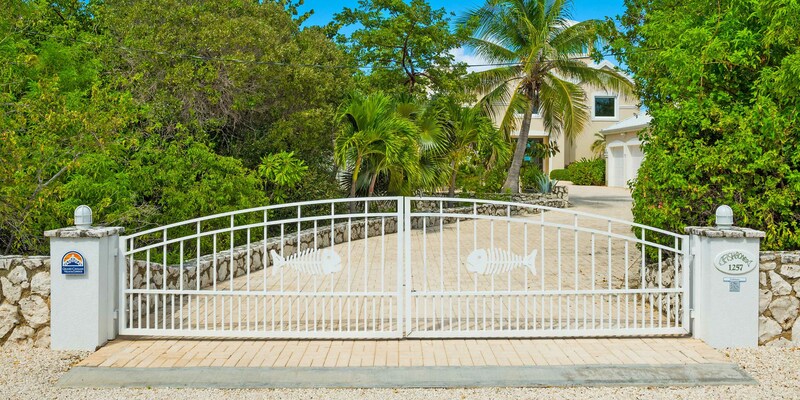 We always felt safe on the island - which was a primary reason we chose Grand Cayman. Fishbones was a wonderful home. 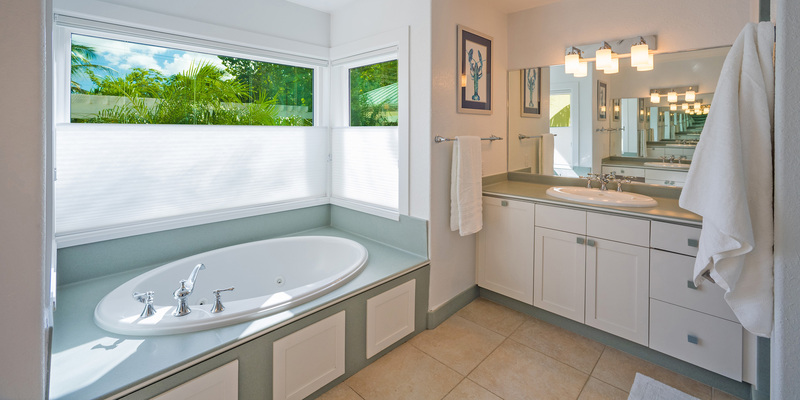 Inviting and clean. Comfortable. Well laid out. We hope to return to Grand Cayman soon, and we would come back to Fishbones when we do!!! My family had the most fabulous experience staying in this spectacular Villa in June. We have traveled quite a bit throughout the Caribbean, staying in beautiful opulent hotels. This was the first time that we have ever stayed in someone\'s home. Without a doubt this was one of the most memorable places we have ever stayed in. The entire experience was pleasurable and easy, from the renting of the Villa, to the communication from all parties at Grand Cayman Villas, to the excellent app containing information about the island including places to see and recommended places to eat, to the timely emails, to the easy getting into the Villa, to the property manager arriving on our first day to show us everything about the house, to the gorgeous floor plan of the Villa, to the gorgeous view, it was seamless. And when I say that the house is gorgeous and the view gorgeous, I am not exaggerating. The pictures on the website do not do this house justice. The view is one that you will never forget. The water color is spectacular! I could go on and on. Just a spectacular home and experience. Highest recommendation to anyone thinking about renting Fishbones!